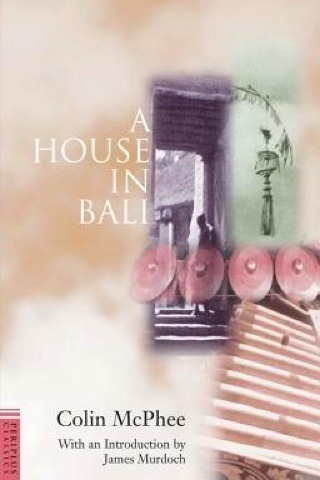 Published in 1947, A House in Bali by Colin McPhee remains today a relevant and engaging book for readers looking to learn about the intricacies and history of Balinese culture generally, and music specifically. But aside from the riches of information that spill from the book’s pages — and even if you have little interest in music — the story of McPhee’s journey as a musician and composer learning about Balinese gamelan is simply, if perhaps unexpectedly, a page-turner. The story goes that Canadian McPhee heard a recording of Bali’s gamelan music in 1929 and yearned to get to the source of it; he ended up spending most of the 1930s on the island, interpreting the culture as he experienced it in day to day life while seeking to learn about the gamelan. McPhee initially based himself in Kedaton (near Jimbaran) then built a house in Sayan (near Ubud) — you can still see the foundations of his house today overlooking the beautiful ridge. Music is central to Balinese life — the five tones “have cosmological significance, for they are linked with the gods of the five directions, north, east, south, west and centre” — but as McPhee learns, “music is for pleasure” as much as anything else. Gamelan is Bali’s soundtrack, really, and it’s as good a starting point as any for a Westerner to start an attempt at unravelling life on the island, which McPhee does with gentle observation, delicacy and warmth.